Rio Verde, Arizona to/from Phoenix Sky Harbor International Airport (PHX). Great Flat Rates! More often than not, our town car flat rate fares to and from Rio Verde, and the Phoenix Airport (PHX) are less than taxis charge for the same service. So, why travel in a taxi when you can travel to the airport in style and comfort in any one of our luxury vehicles. >> VIEW OUR RATES. A Luxurious Vehicle Fleet. Whether you are a single executive, traveling couple or a large group, Roadrunner has the right vehicle for you. Depending on the amount of passengers, Roadrunner Limousine’s fleet includes town cars, limousines, SUV’s, passenger vans and even 30+ passenger coaches. All our vehicles are clean, comfortable, private late model luxury vehicles equipped with GPS Navigation systems. 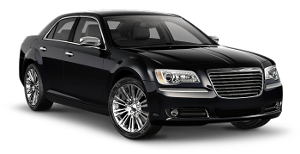 So, why take a bumpy taxi from Rio Verde, to PHX when a luxury vehicle is available at Roadrunner Limousine? Roadrunner Limousine, serving Rio Verde, and Phoenix, Arizona, provides exceptional service for its executive clients. Our executive guests expect reliable, convenient and comfortable transportation to or from Rio Verde, and the Phoenix Sky Harbor International Airport. As important as it is to provide our executive passenger with optimum service, working effectively with their executive assistants and travel coordinators makes everyone’s job easier. For them, we have a state-of-the-art online booking and account monitoring system accompanied by a highly trained staff to help develop and execute the most sophisticated travel plans that any busy executive or corporate group might need. First Time Coming to Rio Verde, Arizona – Did You Know? The area surrounding the Rio Verde community, northeast of Scottsdale, was settled by small farmers in the 1880s, who grew hay and alfalfa to provide for the nearby Fort McDowell US Army camp (1865-1890) (now the Fort McDowell Yavapai Nation). In the late 1890s, William W. Moore acquired several of the small farm plots on the Verde River, combining them into what became the Box Bar Ranch. After his death in 1929, Moore’s sons, Glenn and Lin Moore, operated the Box Bar as a partnership, under the name “Moore Bros Cattle Co.”, with grazing leases both east and west of the Verde River. Lin Moore also ran the X2 Ranch, 12 miles (19 km) to the west, where he and his wife, Ada Lucille, had homesteaded in the 1920s. William Moore’s father, Ranse B. Moore, had emigrated to Arizona from California in 1883 and ranched for many years on the Reno Ranch, just west of the community of Punkin Center, Arizona. The “Asher Hills” were named for Frank Asher, who had been Glenn Moore’s brother-in-law and William Moore’s partner for a time. The granddaughter of Asher’s wife Ella, Jacque Mercer, was selected as Miss Arizona and then Miss America in 1949. In 1955, the Moore brothers retired from the active cattle business and sold the ranch and their holdings to the Page Land & Cattle Co. (Lin Moore retained the X2 Ranch; after his death in 1960, his widow continued to operate the X2 until she sold it in 1970). The Moores’ descendants, including historian Wyatt James, still reside in Maricopa County. A portion of Lin & Lucille Moore’s homestead property on the foothills to the south, known as “The Ochoa Place” has recently been incorporated into the expanding McDowell Mountains McDowell Sonoran Preserve. In 1970, Page Land & Cattle sold ranch land at the to Rio Verde Development, Inc., which in 1973 began to develop the tract as the master-planned community of Rio Verde. An 18-hole golf course was completed in 1973, and a second in 1981. Both were extensively renovated in 2007.